Junior Emily Klingenberg is a second year staff member and is the Opinions Editor for The Brantley Banner. She has always had a love for writing but fell head over heels while reporting in her journalism class. 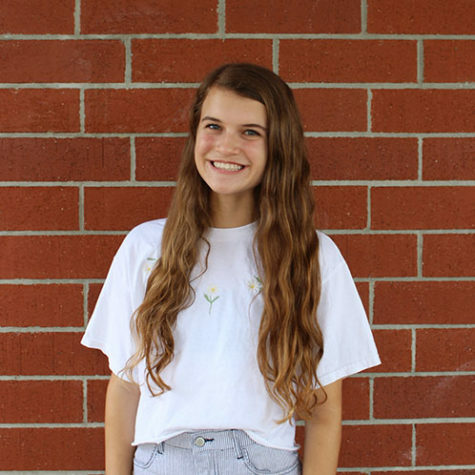 In addition to newspaper staff, she is in Leadership, the President of 2020 Class Council, a member of National Honor Society, National English Honor Society, Quill and Scroll Honor Society, Model United Nations, Patriots’ Pride Yearbook, and a Fellowship of Christian Athletes officer. Emily loves being a varsity and competitive cheerleader for Lake Brantley and has been cheering since the fifth grade. She breathes school spirit and will always be dressed up for any spirit day. Emily adores manatees, smoothies, country music, and John Hughes movies. In her spare time, Emily enjoys being with her friends and identical twin sister, traveling, and beachgoing. In the future, she plans on attending a university and double majoring in nursing and journalism for she has a passion for both helping others and mass media.